The choice of Medicine as a career must be very carefully considered because of various unique factors that become obvious later. Medicine is a vocational career with high demands of physical work, poor immediate monetary returns, high accountability of life and the long career incubation. The current conversion of Medicine , from service domain to a lucrative business is to be decried . This approach certainly cannot be the basis of making it a career choice. Let me suggest five basic questions which you must ask yourself , before taking Medicine up as a career. Why do you want to do Medicine ? Is it really your choice or has it been forced on you by your parents? Is it for its lucrativeness and the status that it accords to the doctor or is it to be socially productive? Every medical career seeker must search this question out honestly. You must have a roughly drawn purpose for your life. If it is not for benefitting the disadvantaged , the poor and the needy- you must look for other professions which are far more lucrative and quicker . The choice must be yours and not influenced by anyone else. In school years, your interest in a particular area can be identified. It may be science, arts, music, sports, commerce, languages etc. It can be spontaneous, family driven or acquired. For example, a child from a business family may naturally take interest in commerce. A child from medical family may be interested in Medicine . Someone naturally gifted in sports may acquire an interest in sports. Identify your interest first and go to step 3 below. Are you motivated enough ? The gruelling time-table of medical studies, multiple entrance and exit exams and the need to spend a total 10 to 13 years to become a specialist is blissfully ignored at entry. The rapid accumulation of medical knowledge and the technical skills required cannot be mastered unless there is a high level of motivation. Do you have that in you ? Can you sustain that motivation from start to finish . Motivation is the key driver to aptitude and success anywhere , more so in medicine . Remember the example of Abdul Kalam who rose from a newspaper boy to the President of our nation , by sheer motivation. Do you have the aptitude / suitability ? Your interest must be matched with your skill. You could be interested in Engineering but if you do not have an aptitude for Maths, there could be a struggle. Aptitude is largely acquired but needs a lot of hard work. Are you willing to do that. In Medicine, your temperament , social skills, analytical skills, ability to forgo food, sleep and comforts to work beyond the call of duty must be appraised. Commitment to this schedule for life is necessary if you really want to do justice to a decade long training. Where do you see yourself 20 to 30 years from now ? In private practice or in health administration ? It is important to have a vision of your life and a hypothetical final station of life. It may not be accurate but it helps as a guide to the growth of your career. 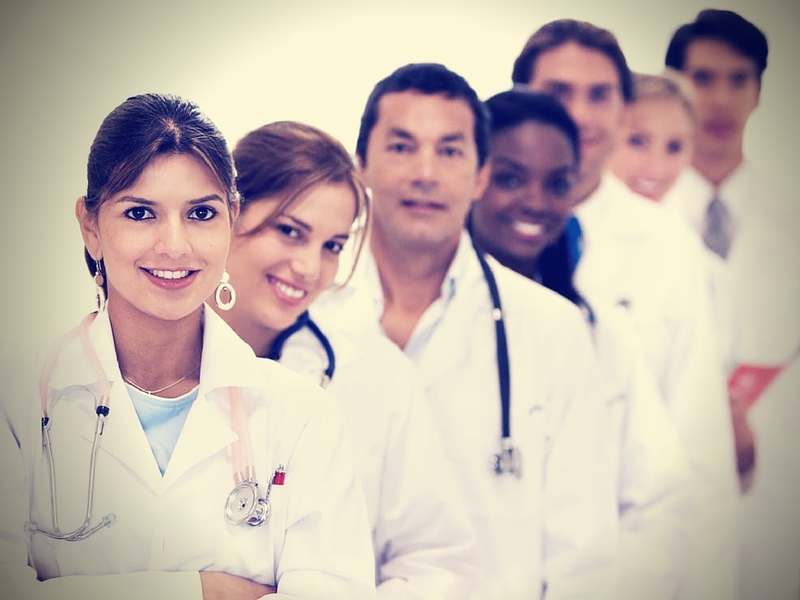 Is there scope for the kind of doctor you want to be . Be it rural practice, general practice , private practice or corporate specialist- will your life plans find expression. Are you fulfilling the larger needs of the nation or are you using this as a stepping stone for going abroad? Dear student, think carefully . If you are honest with yourself to make a prudent choice , spend a few weeks in a government hospital observing the dynamics of patient care. You may confirm or change your mind. If you are still motivated, test yourself by living in a village for a week or two to see the real India . If you are still inspired, go for it - you are on the right track to becoming a doctor . For India !